That’s the promise from Rob Colless, president of Come-by-Chance Picnic Race Club with their annual meeting to be staged this Saturday. Come-by-Chance is a tiny village with a population of just 187, located 100km north of Coonabarabran – around an eight-hour drive from Sydney. “It’s always a great day and we get a lot of support from our sponsors,” Colless enthused. 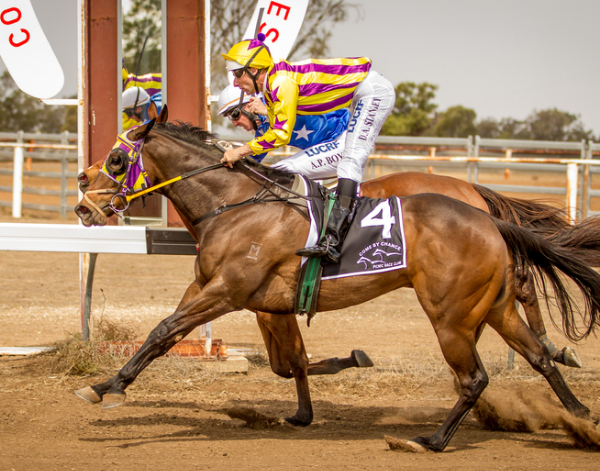 “Gray’s Auto Coonamble are long-time supporters of our race club and we welcome on board this year a late inclusion – the Sydney Cricket Ground Trust. The day is highlighted by the Fashions on the Field featuring ‘Miss Come-by-Chance’. Feature events are the Evergreen/Dad & Dave’s PJ O’Brien Memorial Come-by-Chance Cup (1400m), the Dubbo City Toyota ‘Kensington’ Come-by-Chance Sprint (1000m) and the Rabobank Australia ‘Fernleigh’ Class 3 Trophy (800m). Meanwhile, talented mare Lucy Rose is expected to return to racing in her home state on Friday during Moruya’s big Racing NSW Country Showcase meeting that carries $240,000 in prizemoney. The Queanbeyan-trained sprinter is back from a short but unsuccessful stint in Queensland during the winter, having raced three times at the Gold Coast, Sunshine Coast and Ipswich where she was unplaced on each occasion. Previously, Lucy Rose had won at Canberra and Orange in the autumn before trainer Joe Cleary took her north. She is likely to contest the $30,000 Open Showcase Handicap (1010m). Feature race of the day is the Soldiers Club Batemans Bay Cup with all races carrying a minimum of $30,000 in prizemoney.